Thanks to all who voted over at http://www.soyouthinkyourecrafty.com/! 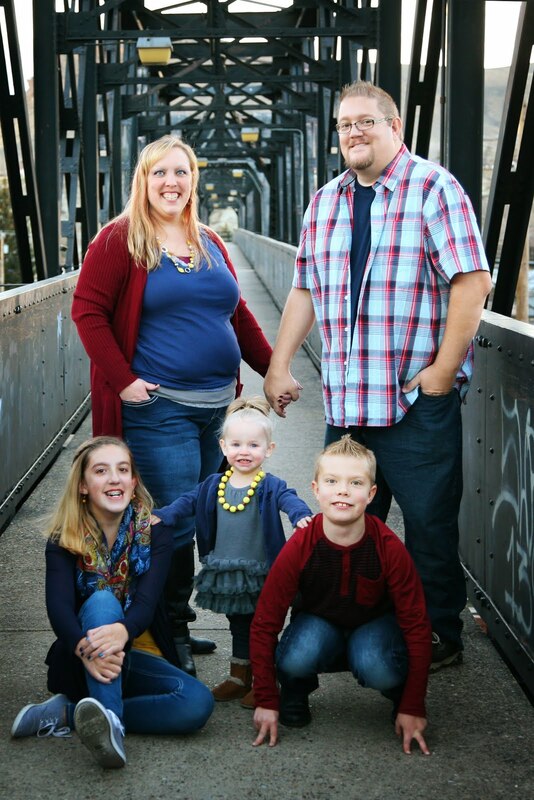 I made it through to Week three; the entries are up so come on over and vote! 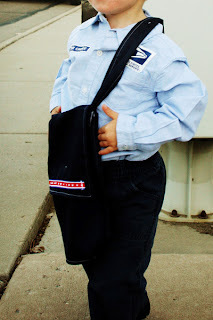 My son's favorite person in the whole wide world is our mailman. He loves him so much that he waits at the window every day, rain or shine, for the mailman to come just so he can wave to him. 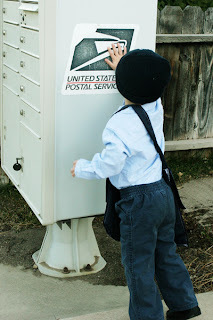 I decided it was time for us to have a mailman outfit of our own: I found an old pair of navy pants at the thrift store, along with a blue broadcloth button-down shirt and a tiny navy blue beanie (we live in the cold most of the year and our mailman wears a ski cap). I printed out some post office insignia and a "letter carrier" name tag onto iron-on transfer sheets and sewed them on to the hat, the shirt and the bag. The bag was just a remnant of fabric I had around the house which I fashioned into a messenger bag and added the stars and stripes ribbon strip. 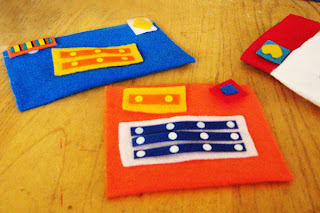 And because the mailman needs letters to deliver, I made some felt postcards and envelopes to go in the bag. I used various ribbon strips for the addresses and return-addresses and cut hearts and diamonds for the stamps. 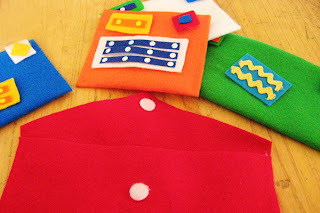 Some of the envelopes open and close with velcro so he could write his own note and letters. 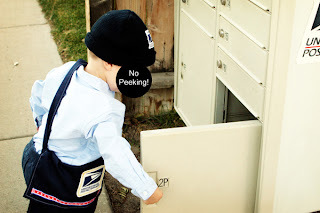 When the outfit was done, my son ran out to show our mailman -- and was rewarded with a ride in the mail truck! Love that little Mailman!